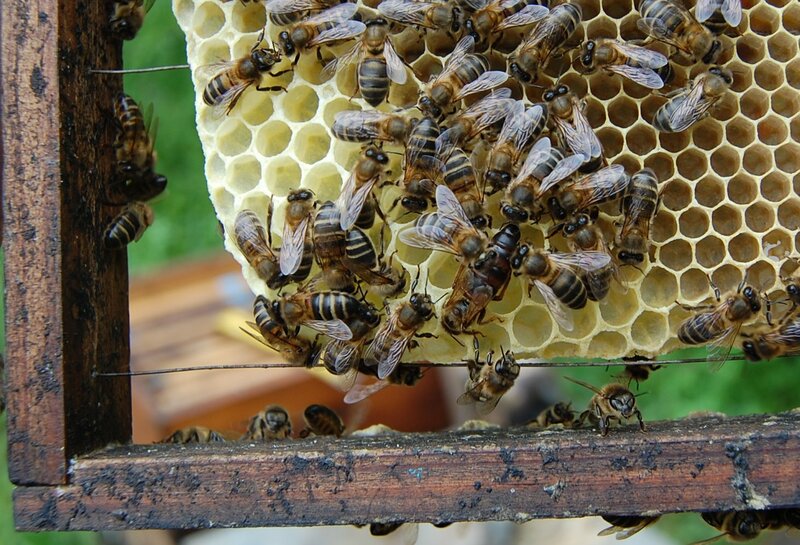 The interaction of small cells and the correct amount of drone comb on each comb is the basis of Varroa resistance. 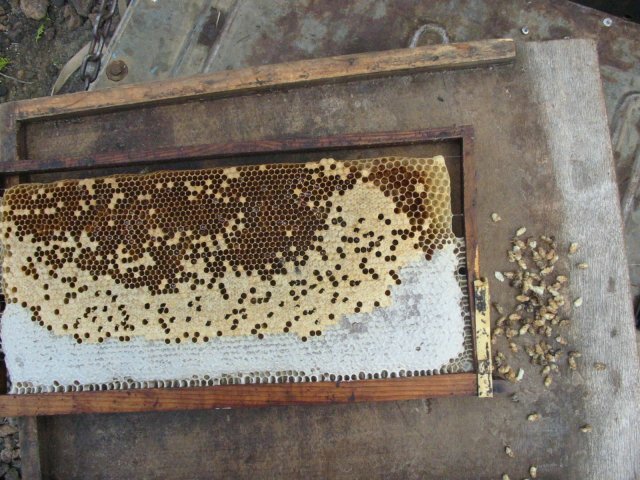 Do not just take them out, because one may think that it is a good way of getting rid of a many mites. I’ve already made this mistake in the beginning. 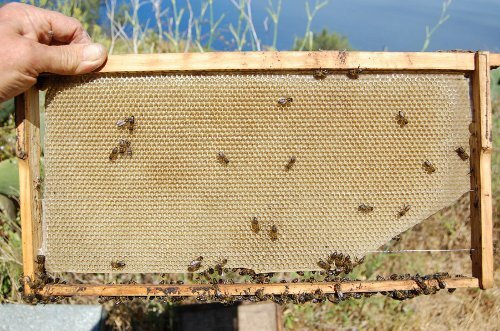 The varroa mites nicely remain in the drone brood, but if we suddenly decimate the drone cells it will cause problems. You can now see that selective breeding is a key component. But more on this later. 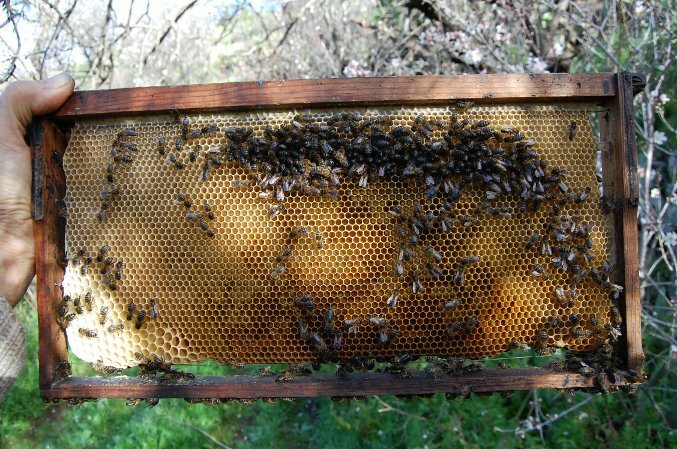 When I arrived 25 years ago here on the island of La Palma, nearly all the bees perished due to the trachea. 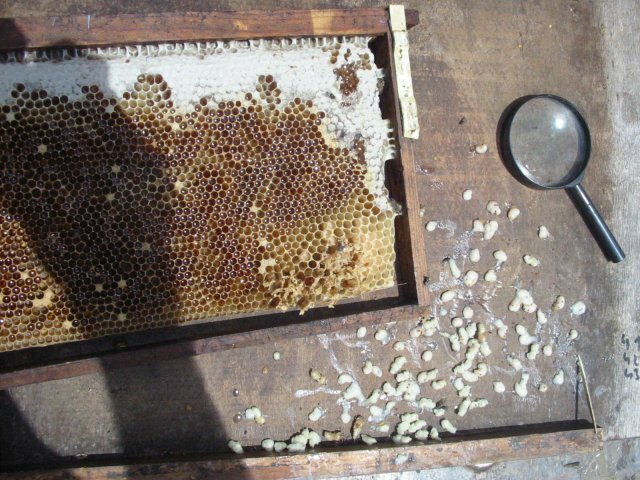 Then the beekeepers applied menthol and it went upwards again – until the varroa arrived. 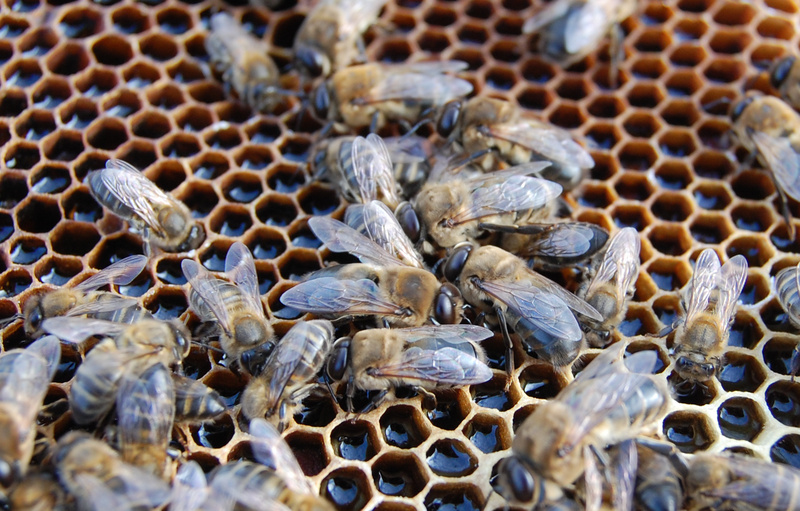 In the bees that hatch of 4.9 mm cells, the foremost part of trachea, or the frontal trachea opening, by which these mites can get into the inside of the bees, is so small that the mites no longer fit through – QED.